Light is electromagnetic energy. Electrochemical energy travels in the form of waves. The distance between the crest of the electromagnetic waves is called wavelength. The entire range of radiations is known as electromagnetic spectrum. This spectrum includes wavelength of less than a nanometer to more than a kilo meter. The narrow band of wavelength from 380 to 750nm of electromagnetic spectrum is most important Ibr lily It is called visible spectrum. Its various colours art detected by human eye. The visible spectrum includes red, orange yellow, green, blue and violet. Light travels in the form of photons. ‘Hie energy of photon is related its wavelength. Shorter the wavelength greater is the energy. Ttradiations that derive energy are blue and red. 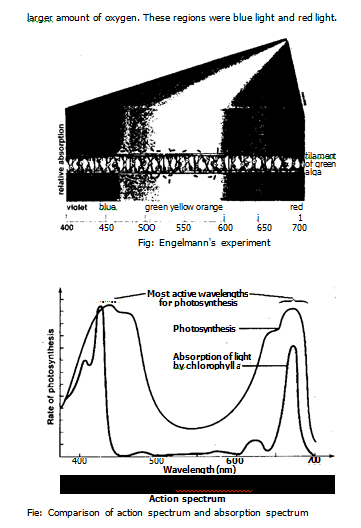 These wavelengths t most effectively absorbed by the chlorophyll (action spectrum vs absorption spectrum). A plot (graph) showing absorption of light of different wavelength a pigment is called absorption spectrum. A solution of a pigmy placed in a spectrometer. It gives the wavelength absorbed by pigment. The light absorbed by the pigment is plot against wavelength gives absorption spectrum. light is absorbed very little. The blue and red light are used by the green plants as energy source for plictosynthesis. The absorption of chlorophyll a ShOWS t 0 peaks at about 680 and 700 tun. Carotenoids absorb radiant energy between 449 and 490 mu. Carotenes show absorption peaks at 449 and 478 nm. The xanthophylls shows peak at 440 and 490 niii. he plot showing relative effectiveness of different wavelengths of ht in photosynthesis is called action spectrum. Action spectrum ratifies the pigments actually involved in the photosynthesis. The two –ito system was also discovered by action spectrum. The action ctra are measured by spectrographs. A sample is placed in larger area tram. Monochromatic light is passed through it. ‘Den its action is d by spectrograph. Absorption spectrum is given by all the pigments (Chl a. b, carotene and xanthophylls). 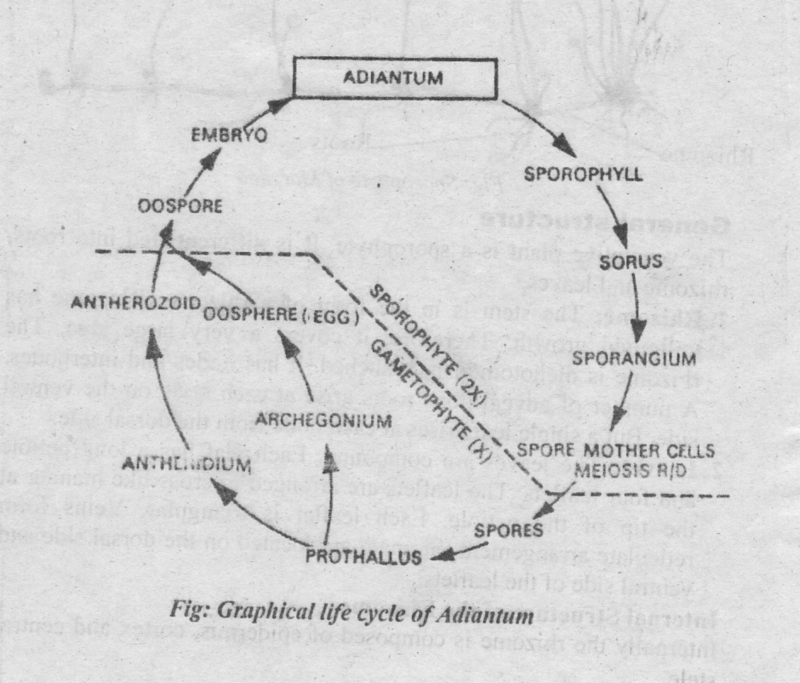 But the action spectrum is given by only chlorophyll a. It means chlorophyll a forms the reaction centre. 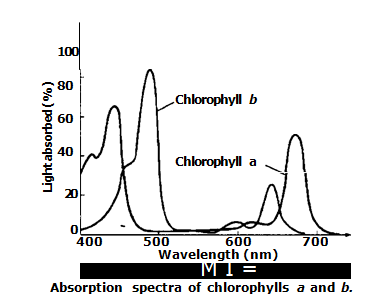 There is a great difference between the absorption spectrum and action spectrum of chlorophyll a. The peaks of its action spectrum have more height and it valleys are much narrow than the absorption spectrum. It indicates that all other pigments are accessory. They transfer their energy to chlorophyll a. So it performs more photosynthesis than it actually absorbs light. Therefore, its action spectrum looks more efficient than the absorption spectrum.